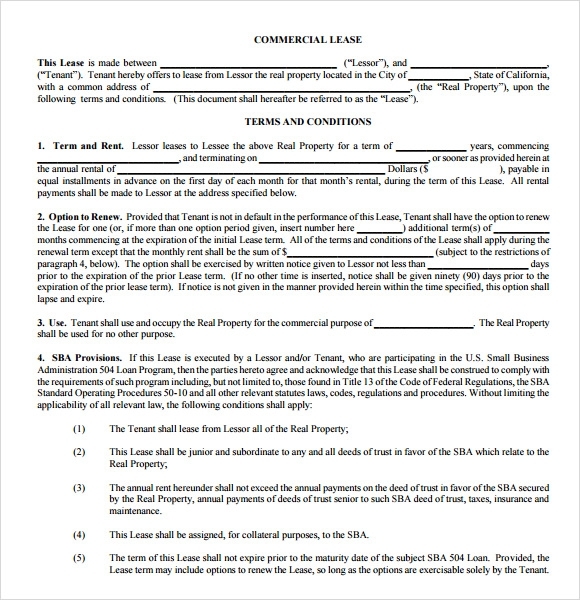 A Commercial lease agreement is a contract between the owner of a property and the tenant, who wants to use the property mostly for a fixed period of time. Examples of commercial real estate are office spaces, stores, restaurants, showrooms, etc. The tenure, payments and nature of business should be clearly specified. 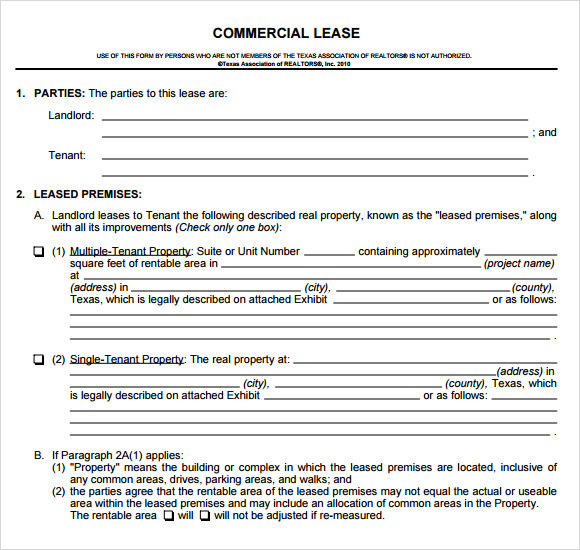 An option of lease renewal is also included in a typical sample of commercial Property Lease Agreement Template. This is a theme that can be used to exhibit the information of the name of the owner and the tenant of the property, the date from the agreement commences, the whole period of the agreement and also the financial aspect. 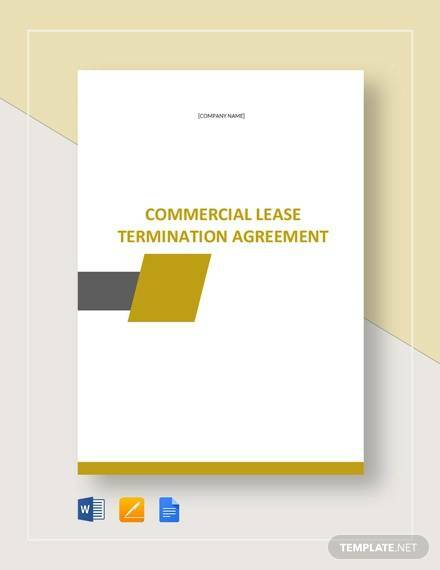 This is a commercial lease agreement template that has been packed with an array of great and responsive features. The user can also move about the theme since it is fully navigable. The theme is compatible with human vision and also super SEO friendly. 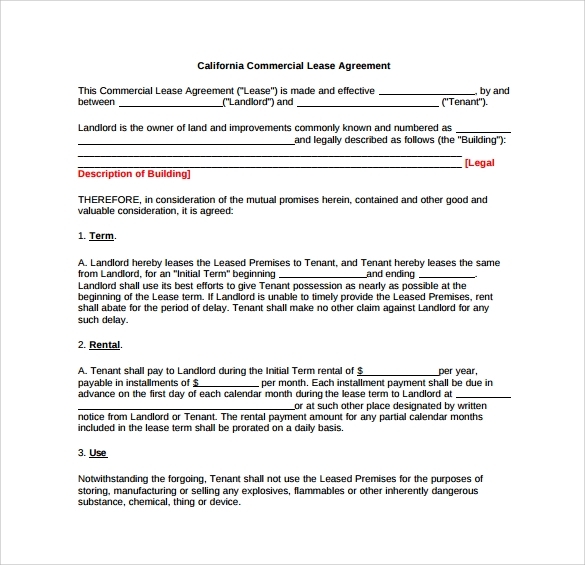 The user can download this template in the form of word document and can use the theme to create superb commercial property lease agreement. The template can be very quickly edited that can act as a super advantage for the user. The layout of this theme is highly simple and tidy. It sticks to the very basics and yet can support a detailed and a comprehensive lease agreement. The language flow and choice is simple and easy to understand. 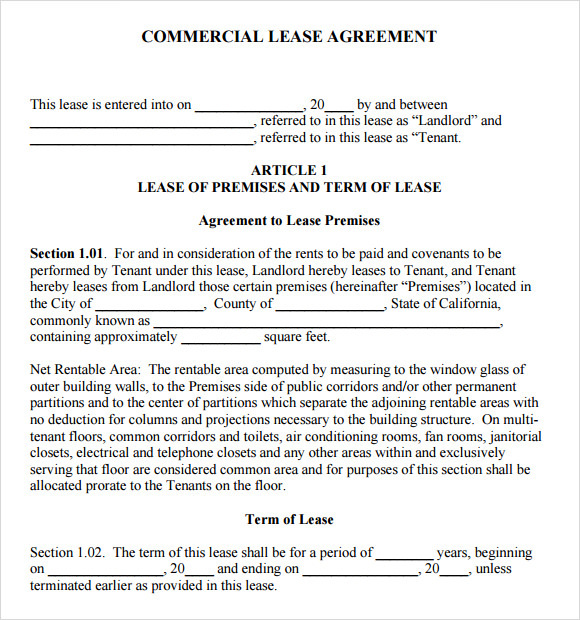 What are these Commercial Lease Agreement Templates? 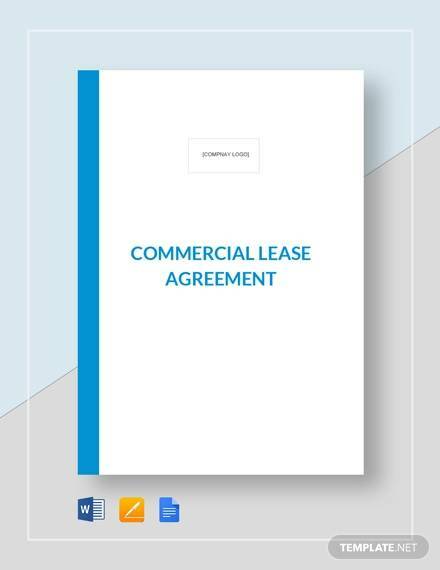 These commercial lease agreement templates are professional designs that have been made so that the work of the commercial property owners and the tenants can be reduced. With the help of these templates the paper work required for such situations becomes really easy and sorted out. The themes are designed in such a manner that the overall look is very much generic and hence can be used in a number of situations. 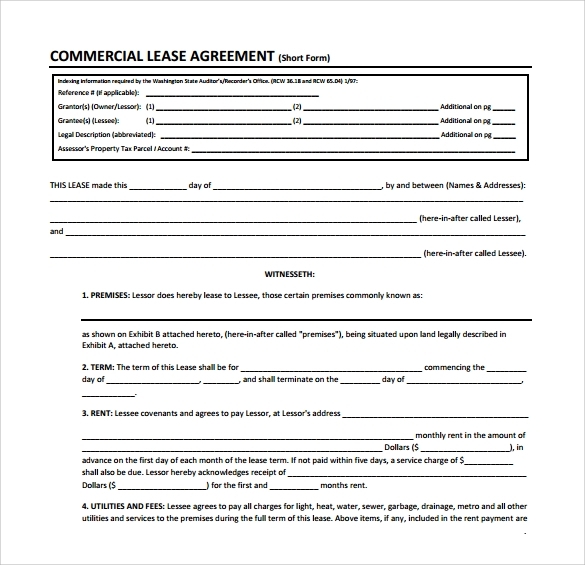 Who can use these Commercial Lease Agreement Templates? These templates can be used by the owner of the property and also the tenant of the property. The themes are highly professional. They can be used by people who have little or no knowledge of making such types of documents. 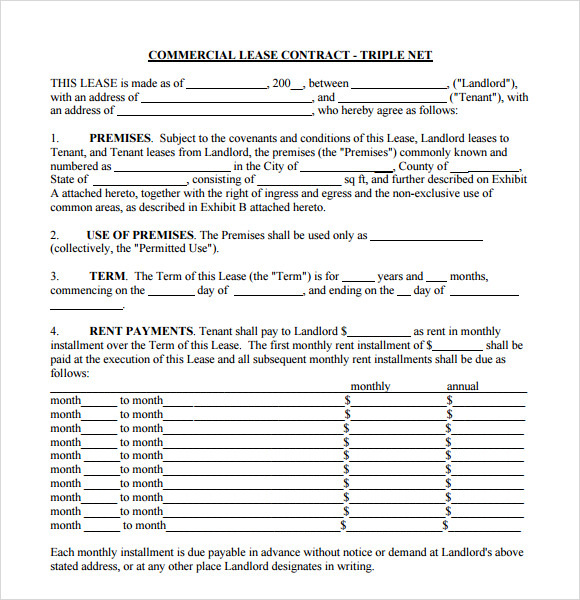 Once again people who do not have much idea of English language can also use these documents.You can also see Sample Blank Lease Agreements. The templates are facilitated so that they can prove to be time economic. The user with the help of these templates can be equipped to do a lot more work. As a result they can get a lot more effective and can work in a better way. The templates are super customizable. The user can change and modify the templates and its contents to suit their purposes. As it is an agreement for a long term activity, there are lots of points such as maintenance, property taxes, damages and repairs, rights of the owner during lease period, etc which should be specified in the agreement. 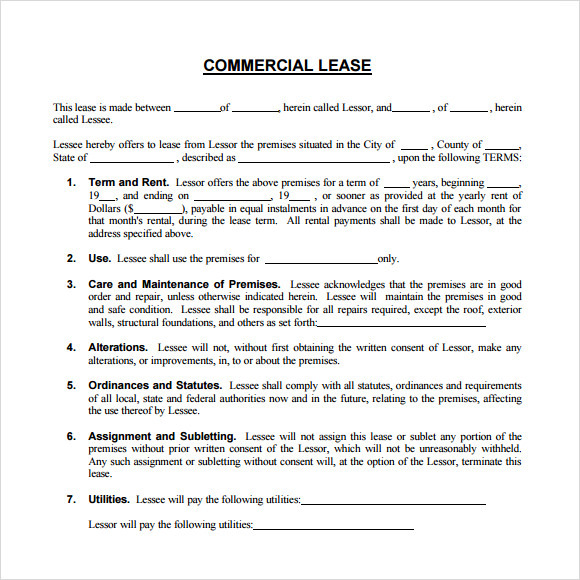 Our commercial lease agreement templates do not leave out any such issues and are suitable for this purpose. Moreover, they can be downloaded for free and can be used in all formats. 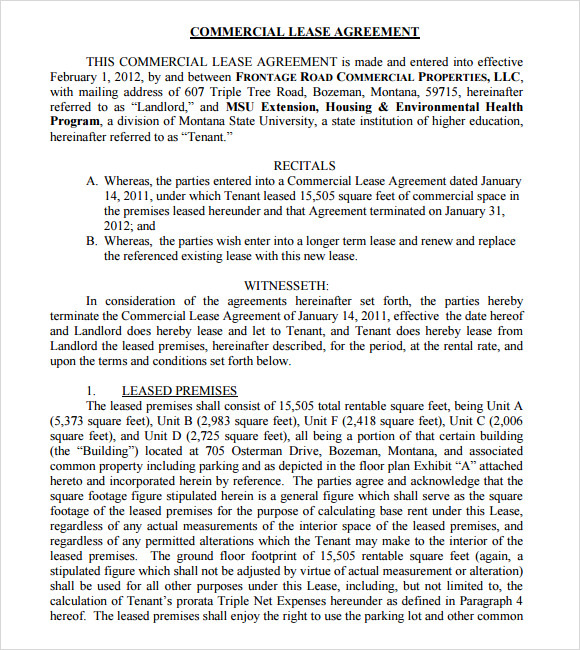 You can also see Sample Lease Agreements.